Home > Help > What is an RCD and how does it work? 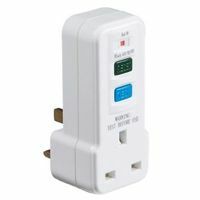 The Residual Current Device, or RCD, is one of the most important electrical safety devices in both the home and commercial environments. 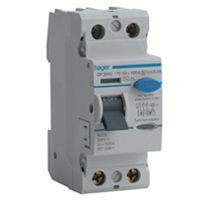 In short, an RCD protects against injury and death caused by electric shock by detecting an imbalance between the outgoing and incoming total current of a given number of circuits. It works on the very simple principle that if there is a difference in the electricity coming in against that which is going out, then it must have gone somewhere. This phenomena is commonly known as 'earth leakage' - (or the 'Residual Current' in the RCD's title). It can be caused by a number of problems including poor electrical wiring and DIY accidents such as drilling through a cable when mounting a picture hook or cutting through a cable with the lawn mower. In this type of situation the electricity must go somewhere and choosing the easiest route can travel through the lawnmower or drill to the human holding them to create a circuit and cause electric shock. The working part of an RCD consists of an iron core, called a toroid, one half of which is wrapped by the live copper wire while the other half is wrapped by the neutral copper wire. Using the physical properties of electromagnetism, the neutral and live cables produce equal and opposing magnetic fields in the toroid which cancel eachother out. 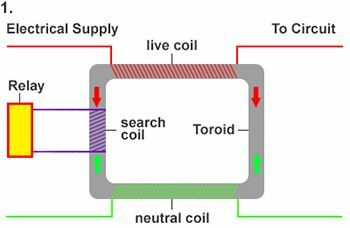 A special switch, called a relay is connected to the toroid via third copper wire, sometimes referred to as the 'search' or 'detector' coil. During normal operation no electric current passes through this wire to the relay, because the live and neutral coils are not producing a net electromagnetic field. Diagram 2 shows what happens during Earth Leakage, when for example the lawnmower slices the power cable - represented by the black lightning bolt. 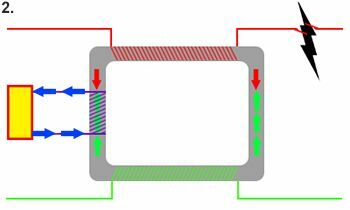 The current in the neutral cable is now greater than that in the live, represented by the green arrows, so the magnetic fields they produce are no longer equal, resulting in a net magnetic field in the toroid. This magnetic field creates a current which passes down the detector coil to the relay, causing it to snap open, (diagram 3), breaking the circuit and thus cutting power to the electrical system. An electrical current of just a few milliamps (mA) experienced for just one second is enough to kill most fit, healthy people. RCDs therefore have two key aspects to their operation - the amount of current they allow for Earth Leakage before operating - the mA rating - and the speed with which they operate - the ms rating. 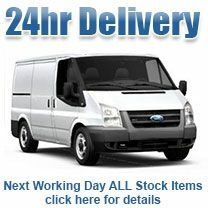 > Current: In the UK standard domestic RCDs operate at 30mA. In other words they will allow a current imbalance below this level in order to account for real world situations and avoid 'nuisance tripping', but will cut power as soon as they detect a current leakage of 30mA or above. > Speed: UK regulation BS EN 61008 stipulates that RCDs must trip within certain time frames depending on the amount of current imbalance. 'I∆n' is the symbol given to tripping current - so, for example, 2 x I∆n of 30mA = 60mA. RCDs used in commercial and industrial environments have higher mA ratings of 100mA, 300mA and 500mA. 1. Portable plug in RCDs. 2. 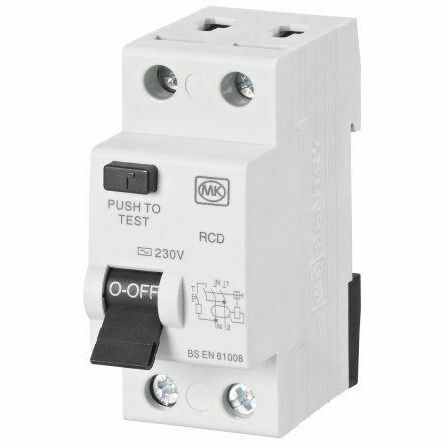 Power Point RCDs - sometimes known as 'safety sockets'. 3. Din Rail Mounted RCDs used in consumer units. 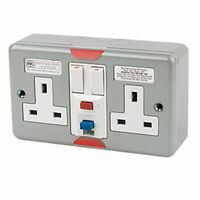 A crucial difference between the first two and the type we're interested in - the ones used in consumer units - is that the latter protects a bank of circuits, whilst the first two - used commonly for garden tools - protect only one circuit. 1. Type AC : Designed for general purpose use, it can detect the AC sinusoidal wave only. It responds to resistive, capacitive and inductive loads such as those generated by Immersion heater, oven / hob with resistive heating elements, electric shower, tungsten / halogen lighting​​​​​​​. 2. Type A : Designed for equipment incorporating electronic components, this RCD detects the same AC sinusoidal wave as Type AC, plus pulsating DC components. It is used to protect circuits powering single phase inverters, class 1 IT & multimedia equipment, power supplies for class 2 equipment, appliances such as washing machines, lighting controls, induction hobs & EV charging​​​​​​​, for example. 3. Type F : With all the features of Type AC and Type A, Type F is for equipment with frequency controlled speed drives RCD as well as high frequency residual current.​​​​​​​ It is used for protecting circuits with appliances containing synchronous motors, some class 1 power tools, some air conditioning controllers using variable frequency speed drives​​​​​​​. 4. Type B : A specialist RCD for particular three phase applications including electric vehicle chargers and solar photo voltaic systems. The 17th Edition of the UK Electrical Wiring Regulations introduced a crucial amendment which changed the way RCDs were used. The specific piece of legislation stated that all circuits must now be protected against earth leakage. 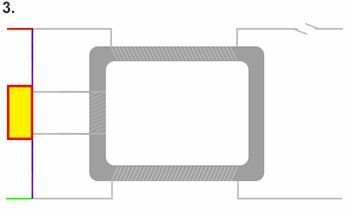 Up until the 17th Edition, it was not only permitted to leave certain circuits unprotected, but was considered by many electrical designers to be best practice - and there is sound thinking behind this:.. 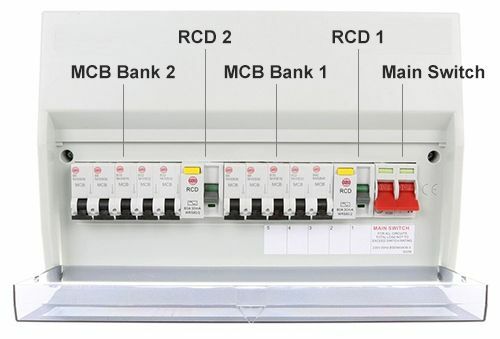 Imagine a situation in which one RCD is protecting a large bank of circuits - Firstly, nuisance tripping will be more frequent - multiple circuits with no earth leakage fault will be knocked out by the one circuit which does have a problem. Secondly, all lighting circuits will be inoperable which is annoying during the day but potentially quite dangerous at night. 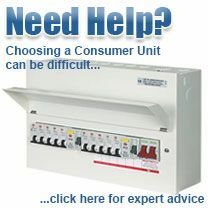 For these reasons, up until the 17th Edition the most common consumer unit layout was the 'split load configuration' in which one bank of circuits was protected by an RCD and another bank of circuits, typically including many of the property's lighting circuits were left unprotected, residing on the main switch. The image above shows a typical '10 way, dual RCD consumer unit'. On the far right is the 'Main Switch' which isolates the board. Flicking this switch cuts power to every device and circuit in the consumer unit. Next to the Main Switch is the first RCD which detects Earth Leakage on the circuits passing through the five MCBs to its left in MCB Bank 1. It is important to understand that an earth leakage problem on one circuit - say the 40amp circuit supplying the oven for example - will therefore knockout the other four circuits on this bank when the RCD cuts power. Careful thought must therefore be given to circuit design within each installation so as to avoid nuisance tripping across different circuits. In installations with mission critical circuits, such as alarm systems, fridge freezers, tropical fish tanks etc, a High Integrity Consumer Unit should be used which offers both RCD and RCBO earth leakage protection.